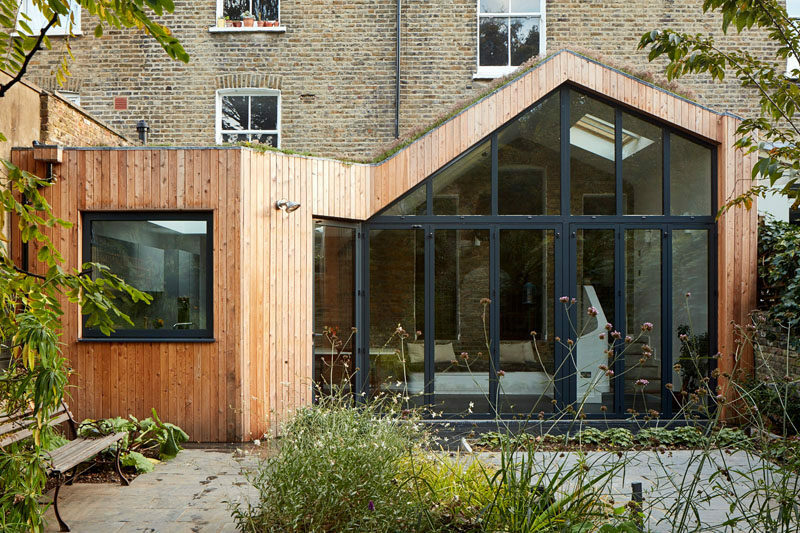 Scenario Architecture have designed a modern wood extension to a large Victorian house, located in a conservation area in Hackney, London. 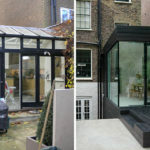 The home’s interior used to be dark, with a large, old, and poorly built conservatory which blocked light traveling into the living area, and due to it being freezing in winter and overheated in summer the conservatory itself was not in use at all. 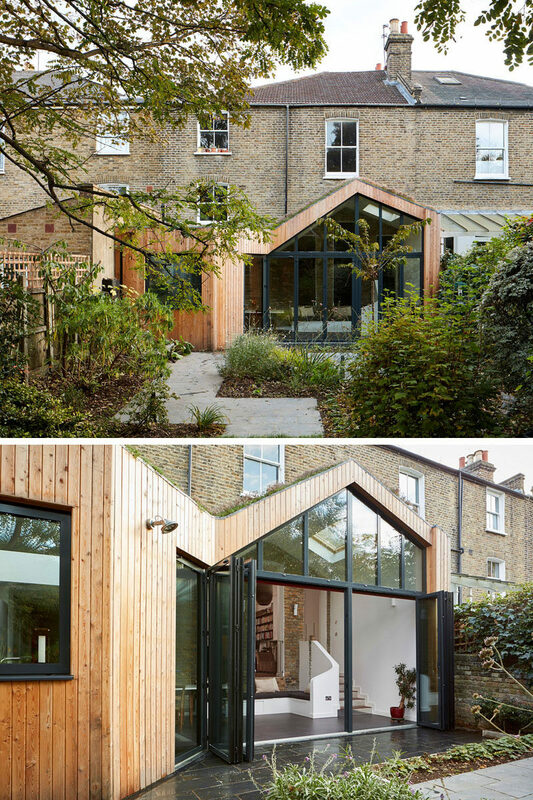 The architects decided to replace the old conservatory with a bright and open extension. 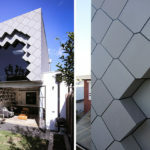 Inside, there’s elements of the original home on display, like the large brick wall, that provides a separation from the old and new areas of the home. 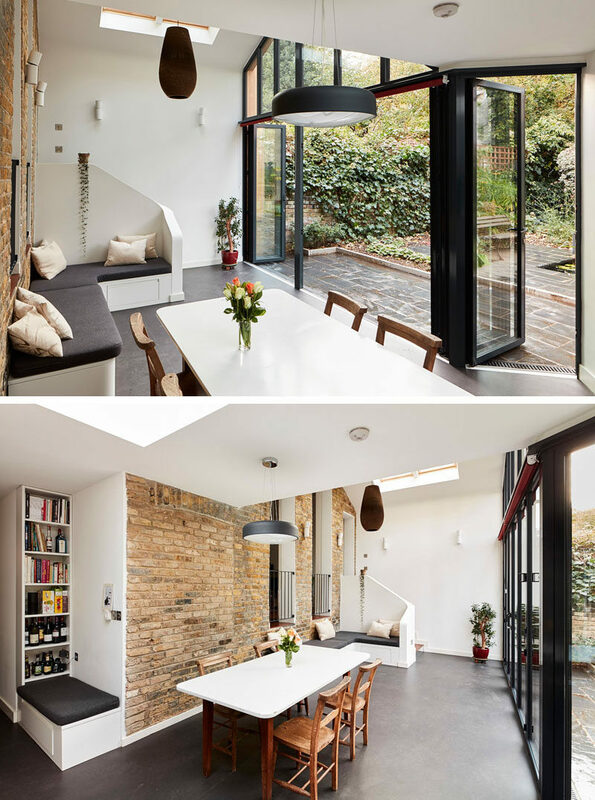 In the new extension, a built-in bench provides a small sitting area for relaxing. 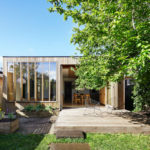 The extension, which also has a dining area, opens up to the backyard with the use of folding glass doors. At the end of the extension is a new kitchen with light grey cabinets, white countertops and a green backsplash. 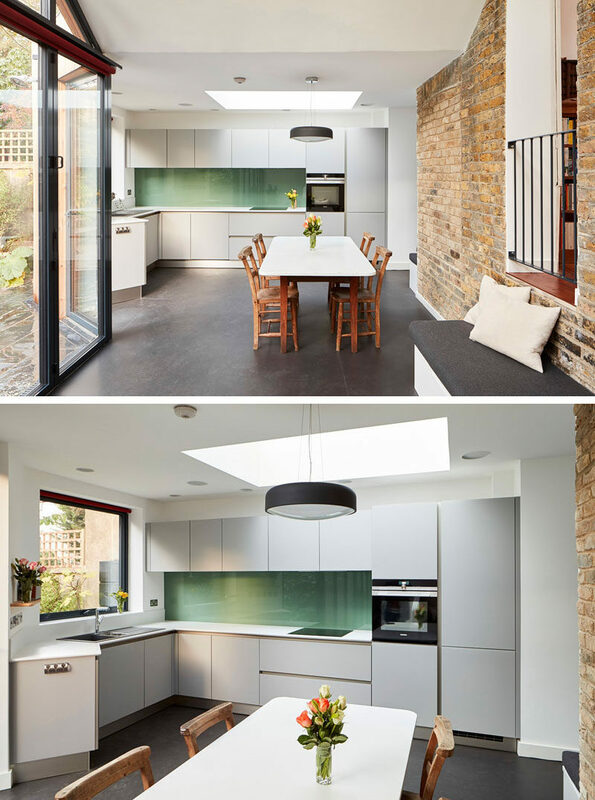 Skylights help to keep the interior of the extension bright. 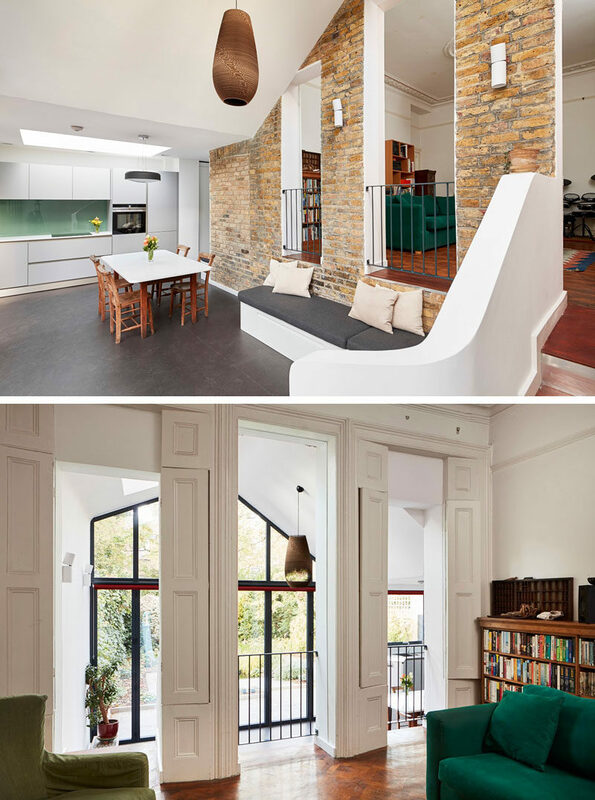 Back by the sitting area are some stairs that lead into the original living room of the home, that now looks over the newly added living space below.